Placement Solutions is a proud major sponsor of PANDA (Perinatal Anxiety & Depression Australia). We donate 10% of all our Agency Joining Fees to PANDA, as well as our major annual contribution. We are now helping to raise extra funds for PANDA through our affiliation with the Entertainment Book - click here to get yours today and enjoy all the savings whilst supporting a worthy cause! 20% of every membership sold contributes to supporting PANDA. We believe that the best Nannies/Educators in the business are also qualified, and stay on top of their professional development. That's why we are partnered with Nurture Training College - a registered Training Organisation dedicated solely to the specialised training of Childcare professionals. Be it simply updating your First Aid, taking a short course to become a Newborn Care Specialist, or working toward your Diploma in Early Childhood Education and Care, Nurture Training College are the experts. Just Family Payroll (JFP) is a Payroll Service that is driven by an experienced team of managers responsible for payroll, human resource and work-life services. Founded in 2012, Just Family Payroll Pty. Ltd. can take care of all employment payroll requirements for you, so you are fully compliant with the Australian Tax Office. If you have a Nanny/Educator, a Household Manager, or other household staff, JPF can manage all taxes, work cover and superannuation are paid and accounted for as well as entitlements such as accrued sick and holiday leave. Peace of mind for you, and fair and legal pay for your employee/s. Established in 1991, Child Wise is one of Australia’s leading not-for-profit child abuse prevention organisations. Placement Solutions is the first and only Child Wise accredited Nanny/Educator agency in Australia and all our Nannies/Educators complete Child Wise “Speak Up” training through our Training Partner, Nurture Training College. ALL child care professionals are welcome to enrol in this very important course. To enquire about this course please click here. 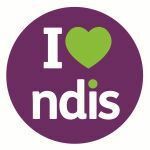 We are now a registered NDIS Provider! If you are eligible under the scheme, please ask us about how our Household Managers can assist you with the Household Tasks you require (within NDIS support item scope). The Australian Home Childcare Association - AHCA was founded in late 2002 as the peak body for the DEEWR funded In-Home Care Government Approved Providers and their in-home child carers a.k.a Nannies/Educators (now Dept. of Education). Agency owner, Louise Dunham represented AHCA on the National Senate Steering Committee that wrote the National In-Home Care standards. She also represented AHCA on the Industry Reference Group for the new CCMS (Child Care Management System). Louise also served as treasurer for the 2007/2008 term. In 2012 Louise served on the National Committee as Vice President. Founded 1975, the International Nanny Association (INA) brings together a likeminded group of professional agencies, Nannies and other Nanny/Educator-related business such as payroll firms to work together to inform and educate and professionalise the Nanny/Educator sector. Louise Dunham attended the 25th Anniversary conference in San Francisco in the USA and since then has attended every conference in the USA and their first international one in Mexico. In 2012 our CEO became an INA board member and was the first international member of the INA Board and hence the first Australian on the board. During her board time she was Chair of the Ethics Committee and Vice President. In May 2013 our director was honoured to receive an award for 25 years of service to the international Nanny/Educator industry. The Recruitment & Consulting Services Association Australia & New Zealand (RCSA) is the peak body in Australia and New Zealand for the recruitment, on-hire, contracting and workforce solutions services sector. Employment is an issue fraught with challenges. Whether hiring a new employee, finding a temporary or contract worker, or searching for a new job, you need to be assured that the company you are dealing with is taking the issue as seriously as you are. The RCSA sets the benchmark for industry standards. Our CEO is on the Tax Working Group Committee - 2016, 2017. The Association of Premier Nanny Agencies (APNA) is a professional membership organization for serious business owners who establish and enforce standards of professional industry practices. APNA is a regulated membership organization that establishes standards in the nanny and household staffing industry. APNA member agencies have their contracts, applications and business practices scrutinized by peers to ensure that only the best agencies bear the APNA seal. Placement Solutions is the first and only international member of this American based association. The Institute of Professional Organisers (IOPO) International are a profit-for-purpose body that provides a supportive and inclusive community in the Organising industry. They understand the needs of individuals in this industry and are excited to provide opportunities for growth and connections that will enable you to prosper as a professional. IOPO are focused on providing the Organising industry a standard of excellence that enables businesses to not only be sustainable, but thrive.